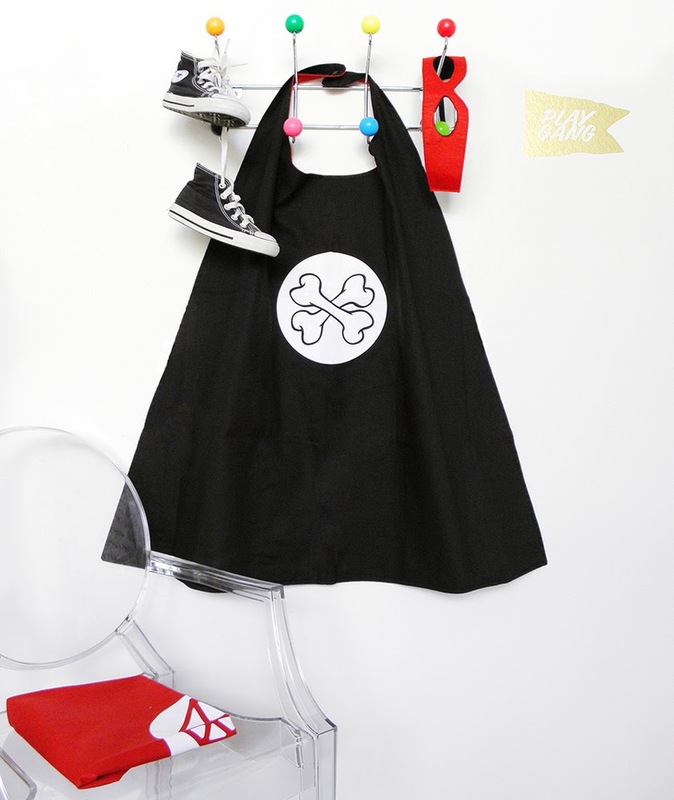 When it comes to shopping for the kids, I'm a fan of cool, comfy threads, fun bedroom decor and good quality toys that encourage imaginary play. Pop Factory Shop, founded by brother and sister duo Christopher Hope and Bridget Lee ticks all the boxes. 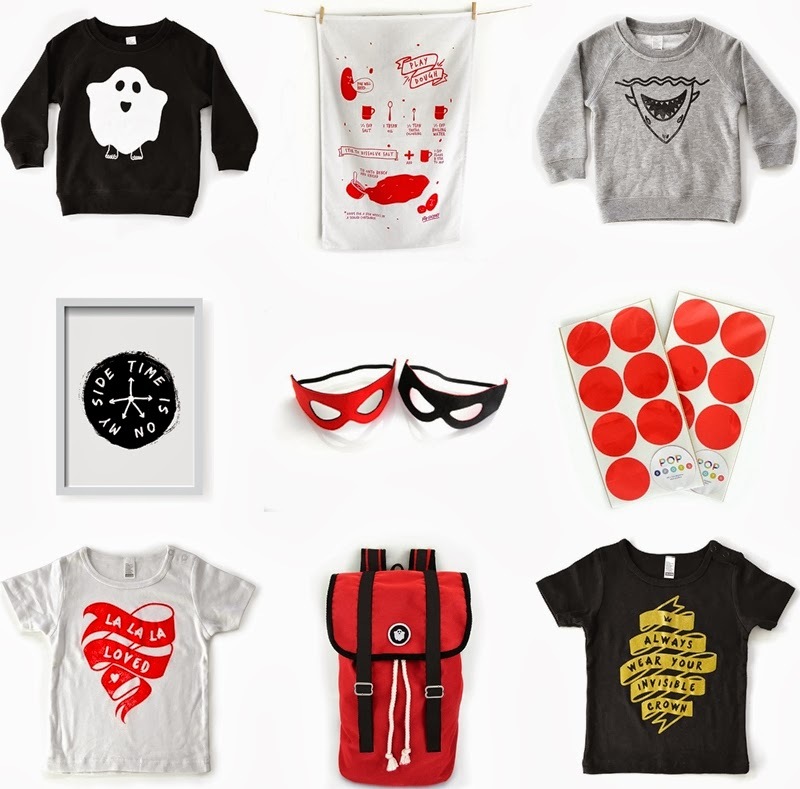 Using their design backgrounds and the littlies in the family to test their products on, the clever pair have created a range of goods that appeal to adults and children alike. I particularly love that their products are unisex (so practical) and their "dark but playful aesthetic". Based in Tauranga and just two months old, Pop Factory Shop already have a varied collection, with lots more in the pipeline. 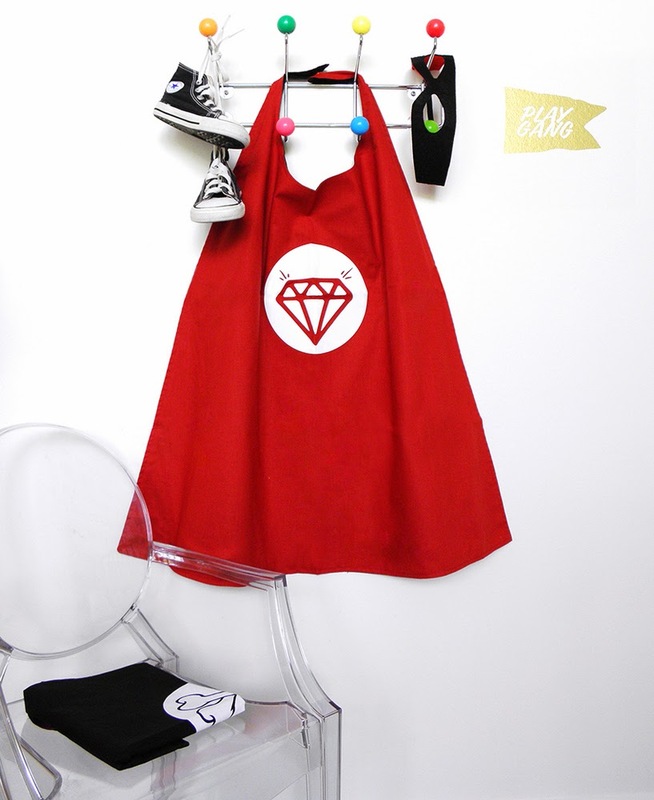 I couldn't resist buying a couple of things for the boys and I also have my eye on the Superhero Sidekick Capes... if your kids are into dress-ups as much as mine, you'll want to check them out! 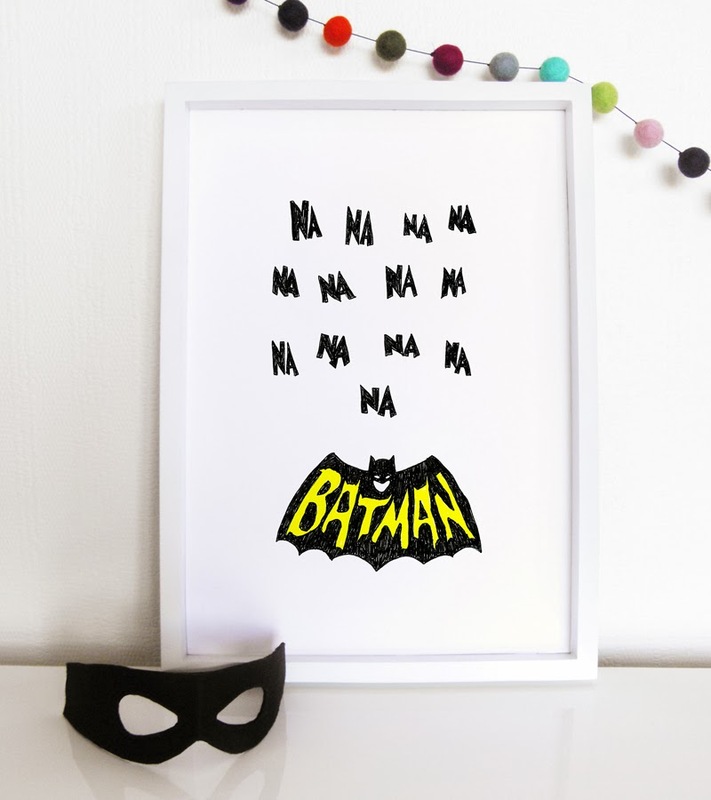 You're a family business, and a creative one! Can you tell us about how you ended up joining forces with your brother (and how your Dad fits in), your design backgrounds and the launch Pop Factory Shop? The 'Hopes' were growing and with so many young ones new to our wider family we thought it'd be nice to make some things for the littlies that we liked, but as we tinkered we figured some of our friends might like what we were doing too. 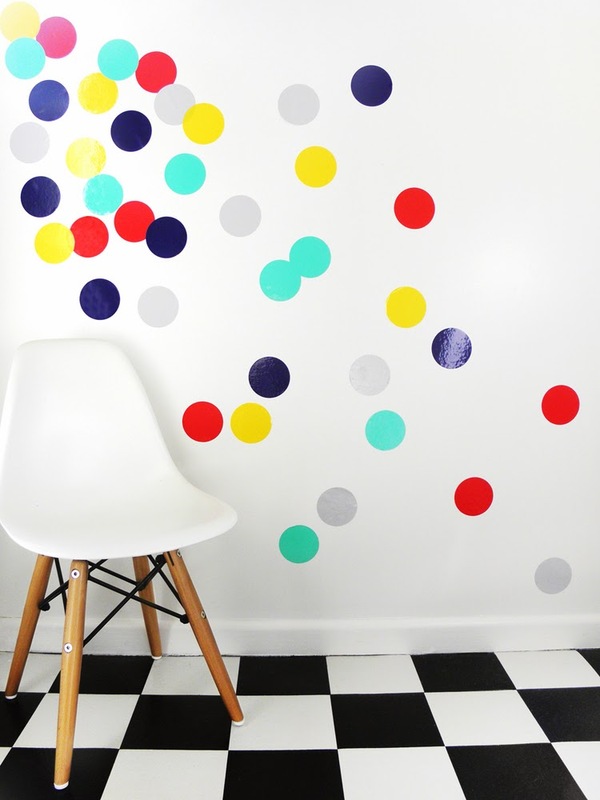 We both did a bachelor of arts majoring in graphic design and our dad comes from a canvas manufacturing background. He'd made us school backpacks growing up that at the time we thought were daggy, but now we reckon they're pretty cool. Where do you get inspiration from for your designs - travel, the web, magazines, your own kids etc? Mostly from nostalgia. Remembering being young and what us 90's kids thought was rad. The boys inspire us all the time. After all this stuff is primarily for Harper, Henry and Marlo! Our blog Pop Factory has inspiration and work of our own that triggers thoughts, but from the start we knew we wanted it all to be unisex and that helped us find our dark but playful aesthetic. 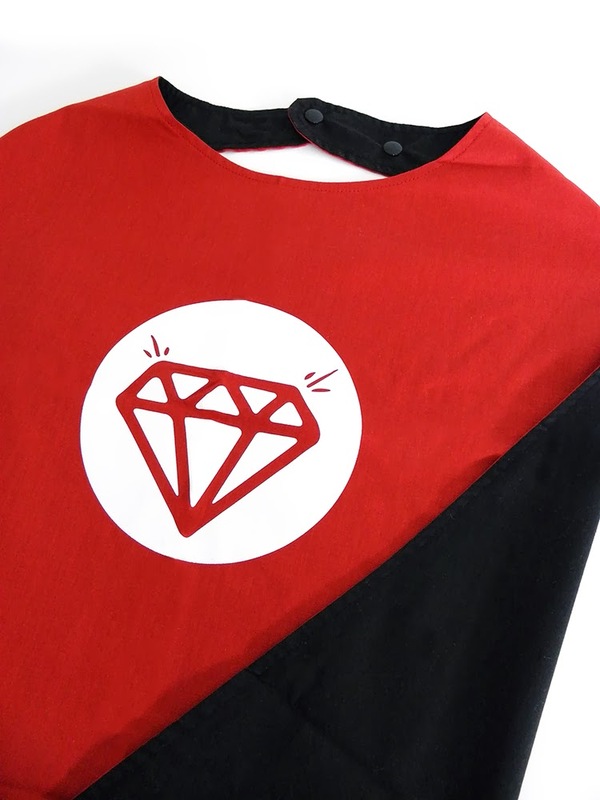 Your newest product, the capes, are super-cool! Tell us about those. Thanks a lot! They were right in time for Halloween. 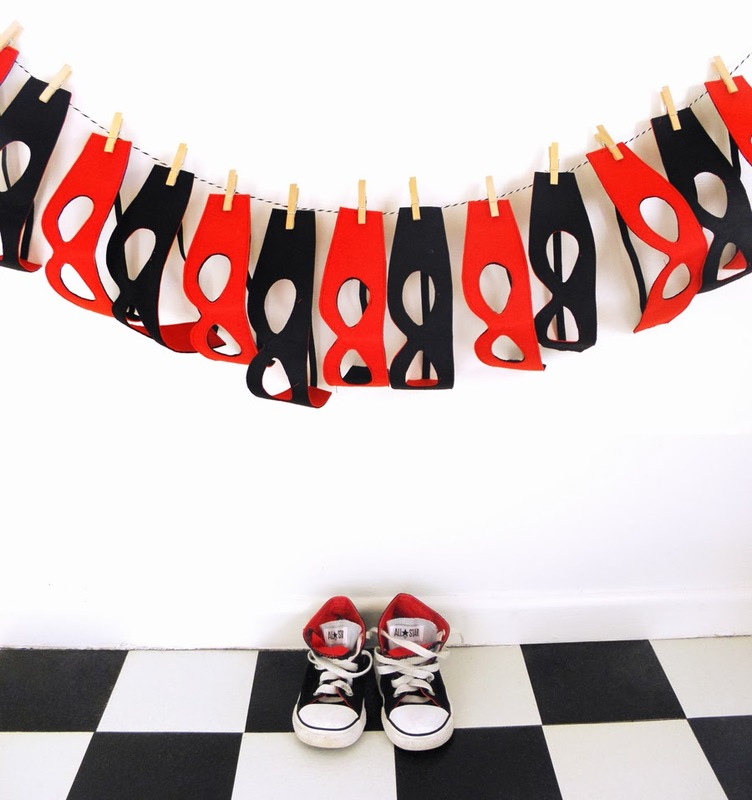 We made them reversible like our masks so the little ones can always feel like superhero sidekicks. We encourage imagination. Running round pretending is more fun than not. Harper loves it! We're working on Christmas. 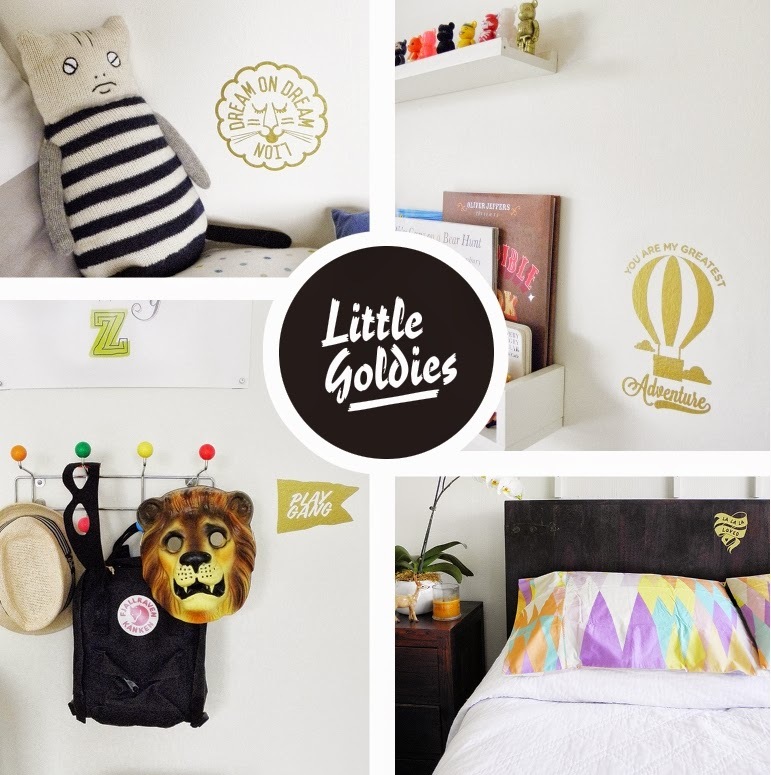 We have pillow cases, onesies and more Little Goldie wall decals on the way, as well as some more patches for our backpacks. You're still very new, but what are your plans for Pop Factory Shop? We hope to make a lot more things. We'd like Pop Factory to organically grow into a one stop shop for young families - children and parents. 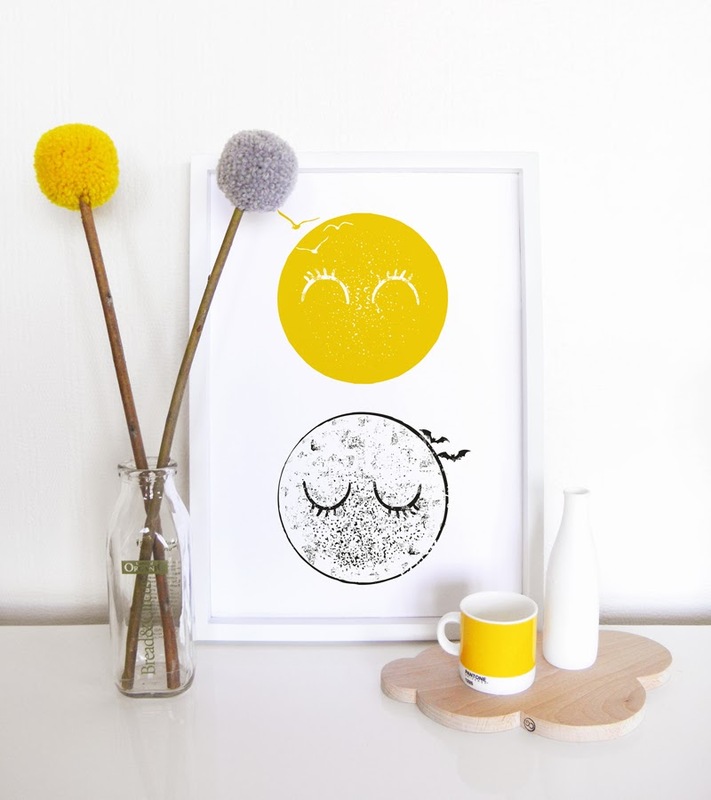 Homewares, artworks, stationery and bedding. A factory shop of popular culture inspired goods. Our next range will be for winter and we're hoping to do twice as much stuff. Thanks Bridget! Shop the entire range here and be sure to check out their blog and like their Facebook page to stay in the loop.